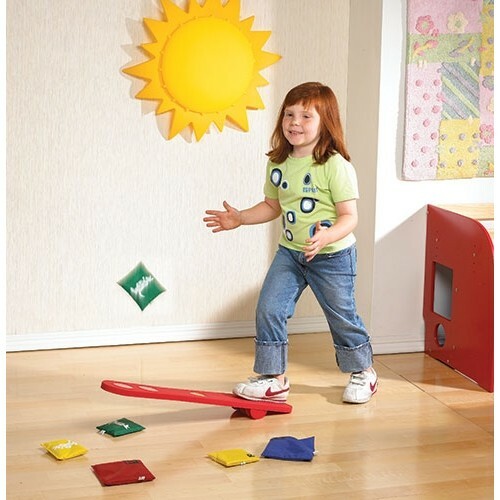 The Joey Jumper Launching Board is a fun way to practice gross motor skills such as balancing and catching. Improve hand-eye coordination with this uniquely designed launching board. Children simply step/jump on the board to shoot the bean bag into the air to catch. Set Includes: 1 x Joey Jump Launching Board and 2 x Bean Bags.